I love making things for Christmas and this year decided to make Dish cloths / Potholders to add the festive touch to the kitchen. I bought some 100% cotton yarn and hunted for some patterns that I liked and came up with these. It is large at 10 x 10 inches so great for a dish cloth and I can always use it folded for a pot holder. The red is brighter than it looks here. So onto the next cloth and this time a smaller one. 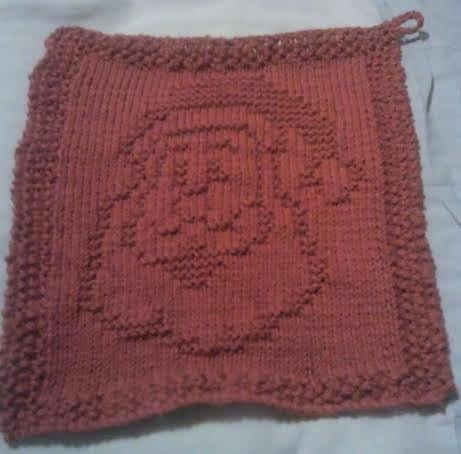 I used 3.5 needles for the yarn I had as I like a dense cloth and this is the result. Yarn used was DROPS PARIS 50g ball and I used 29g of yarn. A nice easy pattern that knits up quick I finished this one in an evening so a definite quick present. You could easily knit up three of these in different colours, add a food related gift that is homemade and you have a lovely gift. This one is 7.5 inches square. After attaching the yarn to the corner I chained 10 stitches then slip stitched the chain to the cloth to create the loop, cut the thread and pulled it through the stitch to secure. Sew in all yarn ends and your cloth is done. Nice and easy to do and creates a loop that is not too large. 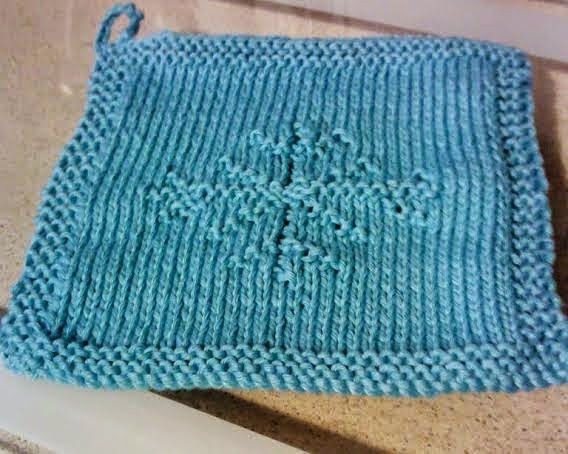 Out of the two I like the Snowflake one the best as the pattern shows up better close too. With the Santa cloth you have to be at a distance to see the face.